The fifth largest township in Camden County with a population of over 30,000 residents “gets more diverse every day, with the influx of small and midsized businesses making Voorhees their home,” says Mayor Michael Mignogna. Most recently, 37 new businesses opened in Voorhees Township in 2016. 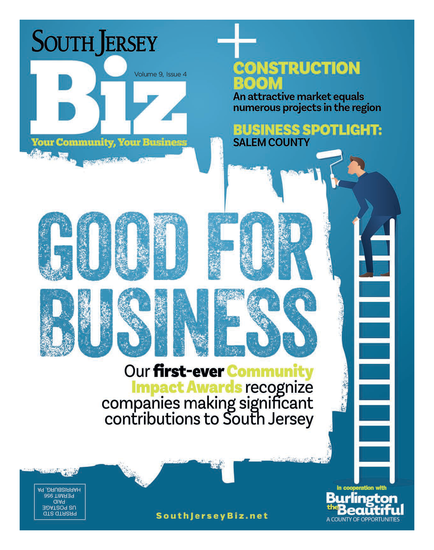 “Creating a thriving business community is a team effort between local government, the Voorhees Business Association and the Voorhees Economic Development Committee,” he says. South Jersey to offer this multi-faceted program that allows a portion of purchasing dollars spent on goods and services in the township to be applied to residents’ property tax bills, reducing their taxes at the end of the year. Currently over 50 businesses and 2,500 households participate, which has generated about $40,000 a year in tax savings. Director of Community and Economic Development Mario DiNatale calls the program a win-win for township residents and business owners. And Virtua deciding to stay in Voorhees attracted other businesses to join them along the Route 73 corridor, including Brandywine Senior Living, Powerback Rehabilitation Center and Samaritan Healthcare and Hospice, the first free-standing inpatient hospice center in South Jersey. All of these medical facilities are within a mile of each other, which is how the term “Medical Mile” was born. “[It] has revitalized the Route 73 corridor and produced thousands of new jobs and significant tax revenue for Voorhees,” Mignogna says. It’s also been favorable for existing businesses, as they are generating more revenue with Virtua Hospital being so close. Virtua isn’t the only health care system to benefit from being in Voorhees Township. Kennedy Health’s corporate offices have been operating there since 1997, and its first Voorhees-based medical facility opened in the township in 2003. They have expanded since and currently have many services related to health care, including Kennedy Health Alliance, a primary care facility, dialysis facility and a homecare department. Just last month, Kennedy signed a lease to move its contact center across the street from its doctor offices on Laurel Oak Road. Construction on the 26,000-square-foot building is slated to start in October. Chief Population Health Executive Anthony Wehbe credits the centralized location and close relationship with township officials as the reason for Kennedy’s continued expansion in Voorhees Township. 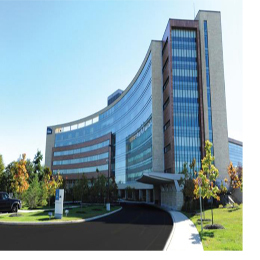 Cooper Medical Health System also has a state-of-the-art medical campus in Voorhees Township, thanks in part to the Camden County Improvement Authority (CCIA). “The authority helped transform a shutdown grocery store and an abandoned strip mall into a vibrant medical complex. … The Cooper project employs hundreds of medical professionals and administrative staff in Voorhees, providing a significant source of employment,” says Freeholder Louis Cappelli Jr.
Another large development the CCIA has worked on in recent years is Flyers Skate Zone, an ice hockey rink that is home to the Philadelphia Flyers practices. Formerly the Echelon Mall, the Voorhees Town Center has gone through a number of changes in recent years, including Macy’s closing in March. “Restaurant Row,” which was added in 2012 with restaurants such as Catelli Duo, Iron Hill Brewery, Elena Wu Restaurant & Sushi Bar, Friendly’s and Burger 21 is a restaurant destination for township residents and surrounding communities. The Voorhees Township Economic Development Committee is currently on Phase 2 of their redevelopment plan and is in talks with a number of developers to occupy empty space. “We are very proactive in helping to ensure that the space be completed and add to that additional development or redevelopment of the area. While we don’t think there’s a lot of retail participating, the way we are looking at it along with mall owners is the top floor will be all commercial businesses,” DiNatale says. Some of the commercial businesses currently occupying the second floor are the Voorhees Township municipal offices, the CCIA, Alicia Rose Victorious Foundation, Bayada Nursing and The Center for Neurological and Neurodevelopment Health, which is under contract for another 1,200-squarefoot space opposite to their current space. The first floor is made up of retail and various entertainment businesses, such as Tilt Studio, a family entertainment destination. From the initial consultations, to putting permits in place and undergoing construction, business owners say the process has been smooth from start to finish with township officials and has made it an ideal place to conduct business and serve their community. Published (and copyrighted) in South Jersey Biz, Volume 7, Issue 6 (June, 2017).